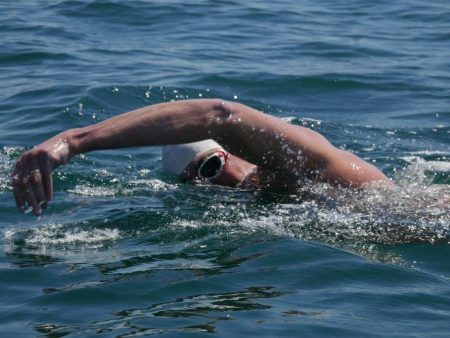 Dickinson Gleeson partner Craig Swart has completed a gruelling solo swim in aid of charity from St Catherine’s in Jersey to Carteret in Normandy, a distance of around 19 miles. 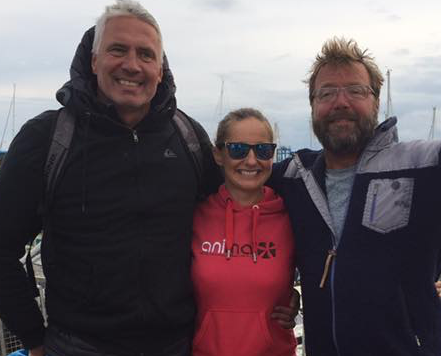 Craig undertook the swim racing two long-time sea-swimming companions Simon “Haircut” O’Donoghue and Toni Buchholz, the three arriving in France 8 hours and 8 – 42 minutes after they set off. The swimmers battled strong tides as they made their crossing and negotiated their way past Les Écréhous, a large reef of rocks, mid-way in their journey. The swim was in aid of the Grace Crocker Family Support Foundation, a charity that supports families from Jersey who need to spend time on mainland UK whilst their children receive medical treatment in hospital. So far they have raised an outstanding £3,000. The three brand themselves as “The Three Amigos” and in 2015 successfully completed a solo charity swim around Jersey together, a total distance of 48 miles. Dickinson Gleeson is again sponsoring the Jersey Round Island Challenge, where competitors either swim, canoe/kayak, row, stand-up-paddleboard or run around Jersey. The event will take place on Saturday 12 August and it too is in aid of the Grace Crocker charity. Last year 150 people took part in the inaugural challenge, including Craig Swart who swam as a member of a relay team.